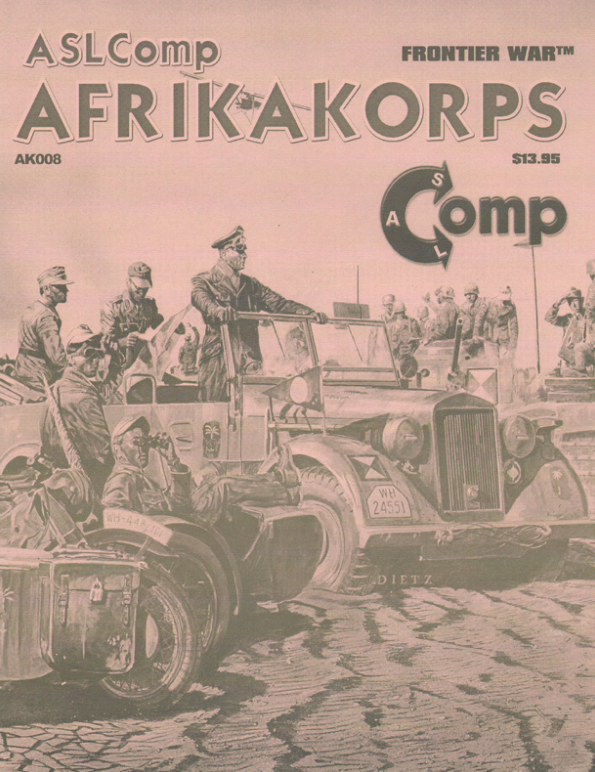 The eighth portion of the set-piece is ASLComp AFRIKAKORPS: Frontier War and depicts the British push forward during the blazing hot summer of 1940. Italy had the meatballs to declare war on Great Britain as Mussolini decided to join his fellow dictators and gorge on Europe's spoils. Il Duce failed to take into account the fighting spirit of Tommy Atkins and his commanders. The result was anything but a massive offensive by numerically superior Italian soldiers in the Western Desert. Instead, British probes became attacks. Attacks became offensives. And the entire affair became a major problem for Mussolini's Italy and dreams of more easy conquests on the African Continent. This batch of 8 scenarios takes things from the frontier raid of 12 June 1940 through Graziani's offensive and the "first haul of booty of the desert war" along the coastal road west of Alam el Dab, Egypt some months later. A selection of early war battles on the Egyptian / Libyan front. Many scenarios feature tankettes and armored cars roaring around the battlefield. Scenarios range from small to large. From an opportunistic raid on a convoy AK 62: 'Swanning About' to a heavy assault on a prepared position AK 65: The Fall of Camp Nibeiwa.